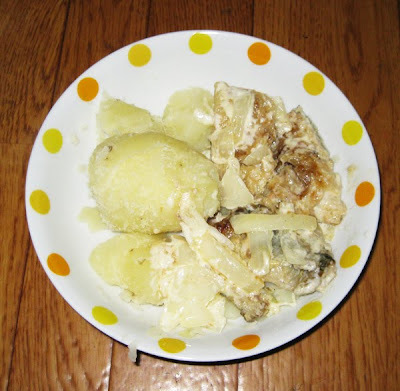 The fried herring and potatoes. This used to be a very common Swedish fish dish in the traditional Swedish kitchen. Today it is rarely cooked by the young generations but the old ones keep it alive. This dish will be cooked and served in the "Kyoto Dinner Experiments". Bread the fillets of herring using the flour. 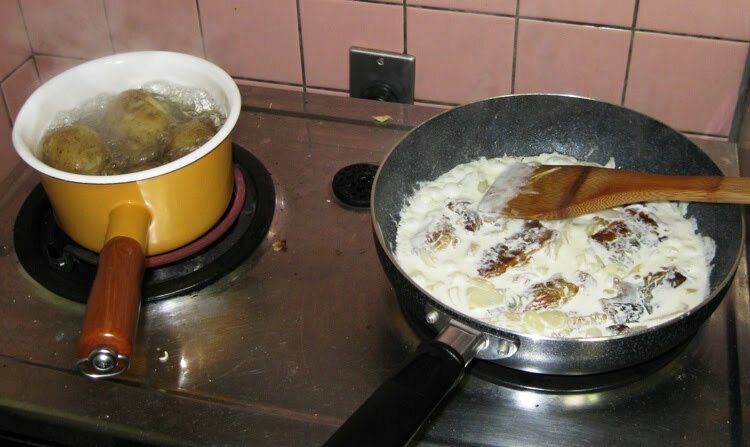 Fry the herring in butter. Then fry the onion, put the herring on top of the onion. Pour the cream into the frying pan on top of the herring and the onions. Let it boil for a couple of minutes.